Above almost all other astrological signs, Libra is most frequently associated with our notions of classic romance and beauty. As the seventh sign of the zodiac in the air element and cardinal quality, Libra occurs in the Northern Hemisphere at the beginning of autumn. This is typically a time of the year where nature puts on its best show, dazzling us with bright colors and a heightened mood of drama and undeniable prettiness. Imagine an early evening in autumn when the sky is lit in pinks and lavender against bright orange, yellow, and red leaves. Bonus points if you imagine said leaves falling from the trees in dreamy slow motion. That kind of storybook beauty is the archetypal core of Libra and it makes sense when taking in the sign's ruler, Venus. To me, the visual association I conjure when I think of Venus is the Sandro Botticelli painting c. 1486 "Nascita di Venere (Birth of Venus)". The color pink and the Opal stone are also commonly associated with this sign and it's characteristics of harmonious communication (this sign is masterful at the art of small talk), attractiveness to others, and elegance. In my experience with Libran friends and family, natives of this sign are hopelessly afflicted with Magpie Syndrome: a massive affinity towards anything shiny or fancy (read: expensive) looking. To that end, I've collected looks that feature shine and bright colors associated with Libra. Read on for information on products and application tips if you would like to incorporate a little shine into your beauty routine. Opal, the classic Libra birthstone. Starting with the high-end products, many luxury brands including MAC, Lorac, and Inglot have products specifically developed to bring high shine to the skin, specifically eyes. 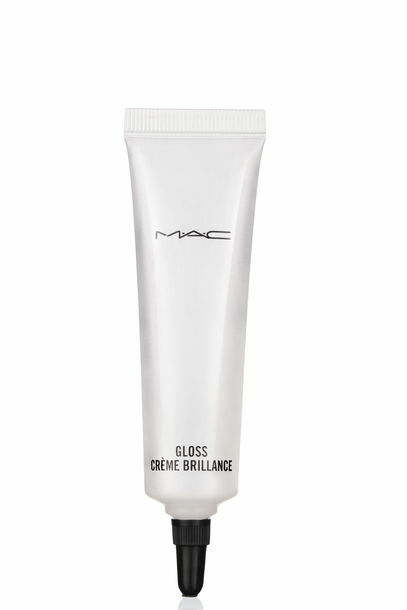 Although some of these products are intended for the eye area, many can be used on other areas of the face and act as a mixing medium with other products to create a super glossy finish ranging from dewy to downright liquified, if that's your thing. Using a duo fiber brush to deliver the product to the skin for an allover glow will be best (i.e MAC 184 and 130 brushes) or a synthetic fiber brush to apply these liquid products to the eye and lip area (i.e. MAC 193 or 195 brushes). MAC's Cinderella collection (launch date March 2015) features two Studio Eye Gloss products which are an easy way to add shine and sheer pigment using fingers or a brush. MAC also has Studio Eye Gloss in their permanent collection as a pro product in two shades: Mèdoc (deep burgundy gloss with pearl) and Noticeably Noir (Black gloss with pearl). For those who prefer not to spend their pennies on products geared towards pro makeup artists, there are luckily two classic products that can deliver much of the same results: good ol' Vaseline and drugstore brand clear lipgloss (shown here by NYC). A true staple of every pro makeup artist's kit is Elizabeth Arden's Eight Hour Cream. The easiest way to explain the legendary status of this product is by reading what the manufacturer itself says are the main uses: "this all-in-one beauty tool adds shine to eyelids, cheeks, lips and legs". Aside from being a potent skin salve, this is truly an essential product that earns its keep in my kit for its multifunctional properties. I can moisturize a model's dry or cracked lips before lipstick application, treat any patchy dry skin, and create an endless variety glosses for lips and eyes by mixing this product with pigment. Sephora has a beautiful set of face charts featuring Make Up Forever inspired by each astrological sign. Check out the face chart for Libra here. Find more Libra inspiration on my Pinterest board!